I invite you to join me for two consecutive Tuesdays in July to discuss Notes from Underground. 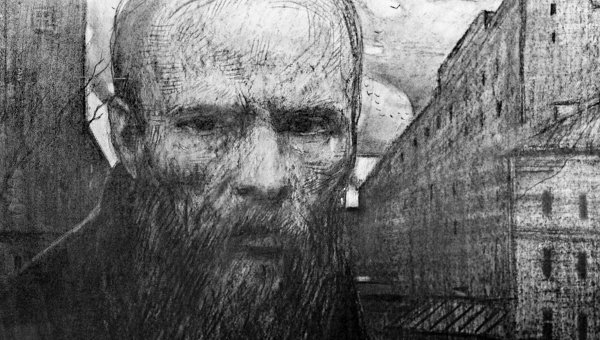 This novella sums up many of Dostoevsky’s ideas and images that evolved over two decades. Its anti-hero, as Dostoevsky calls him, reflects on the relationship between free will and determinism, irrationalism and materialism, and the idea that human imperfection is a law of nature and the cause of human suffering. Notes from Underground is often seen as Dostoevsky’s major philosophical achievement and as a prelude to his longer novels. The novella is very difficult and irritating to read, and requires adult-level maturity. The class has been designed for adults and teenagers aged 16 or older. Here is a link to a wonderful essay in The New York Times by Lee Siegel that includes an account of the dangers of reading Dostoevsky’s Notes from Underground as a high school freshman: http://www.nytimes.com/2008/10/19/books/review/Siegel-t.html?_r=0&pagewanted=print. Class Format: The class will meet on two Tuesdays, July 22 and 29, 2014, from 7:00 pm to 8:30 pm CDT. Each session will consist of a 20 to 30 minute lecture by the teacher, followed by a group discussion. Technical requirements: All participants must have a PC or Macintosh with internet access and a supported browser to participate in courses. High-speed internet is strongly recommended. A microphone and a headset are required for live webinars. Headsets are strongly encouraged to reduce echo.